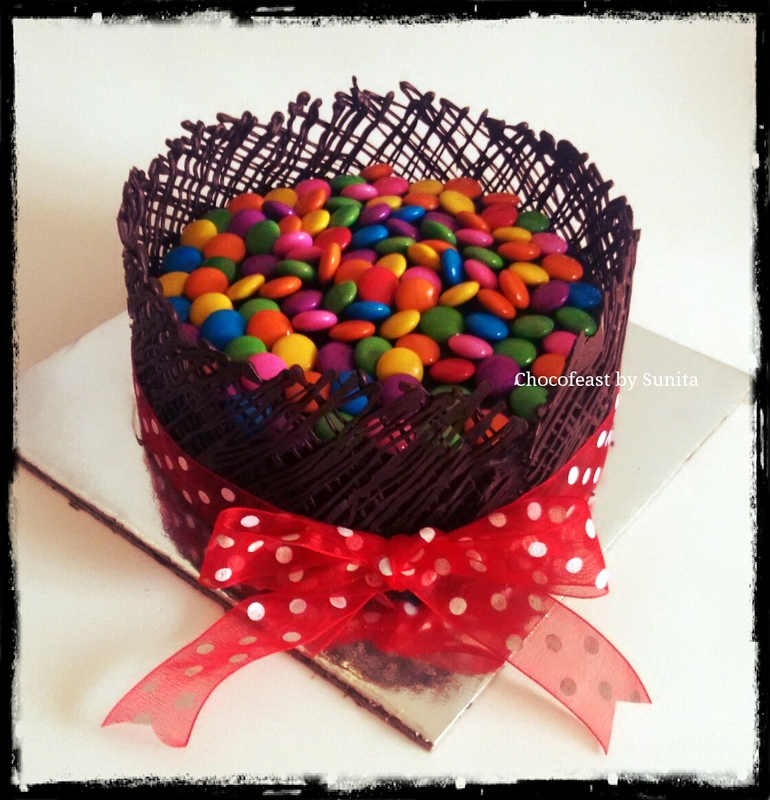 A chocolate truffle cake with a chocolate collar and filled with gems! SKU: N/A. Category: Cakes. Tags: cakes, chocolate, gems.